Brenda’s introduction to professional art was through her career as a production artist in an advertising agency. 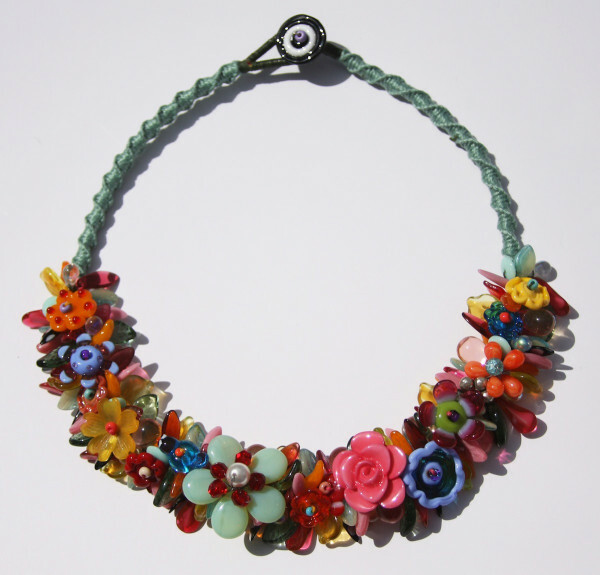 Inspired by creative and generous folks along the way, she discovered beadwork and glass beadmaking. After many different directions taken in the pursuit of what she wanted her art to communicate, she found the elements that are important to her in her jewelry. Whether it’s weaving tiny seed beads into a wild spiral or manipulating molten glass into beads in the flame, she loves the process of creating the final piece.